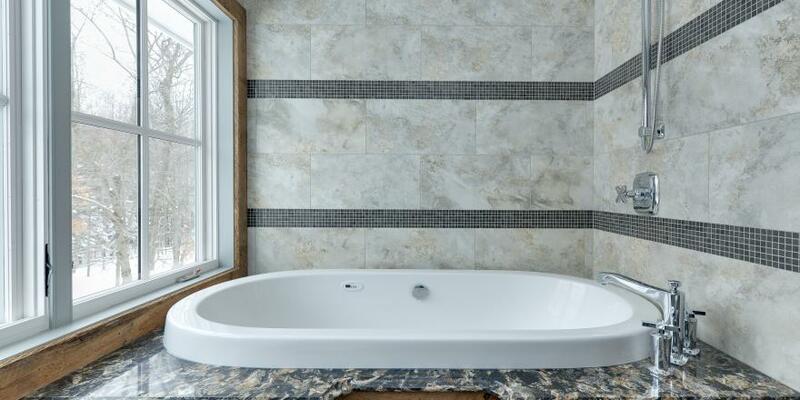 The existing bath consisted of a small shower, vanity and toilet. 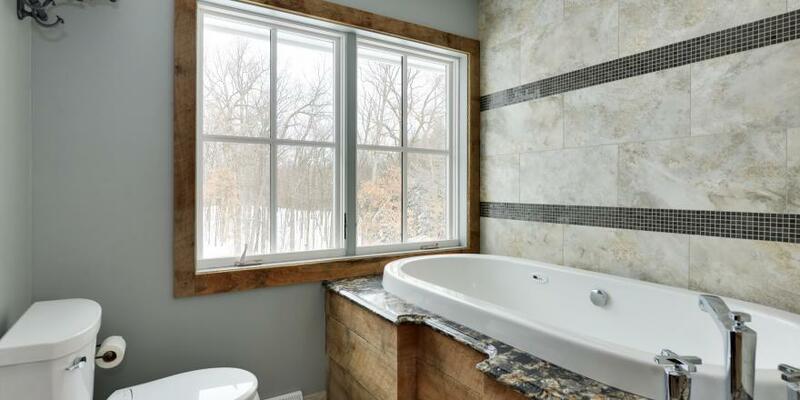 The client wanted a rustic feel with a large air tub to relax in with a glass of wine. These homeowners stressed that bringing the outdoors in was a must for both of them. They enjoy the charm of old farm houses and wanted to incorporate that by creating a rustic design using old barn boards. 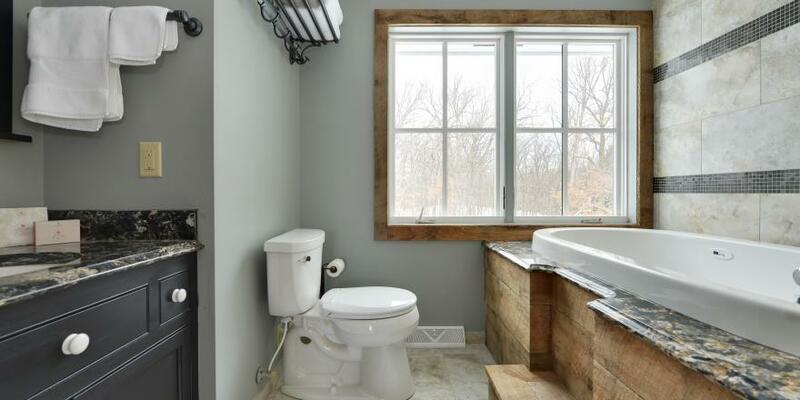 With the new floor plan, Kowalske Kitchen & Bath removed the shower to make room for the tub, and replaced the small window with a large picture window so the couple could enjoy the beauty of their back yard in Holy Hill.